The Game Awards were held on December 6th. The three-hour live stream celebrated the last year in gaming while simultaneously gazing off into the future. Take a look below for all of the family-friendly video game announcements from the show. We didn’t hear anything about Metroid Prime or Animal Crossing, but we did learn about another Nintendo Switch exclusive. Team Ninja is a developing a new Marvel Ultimate Alliance game! Ultimate Alliance 3 is going to be focused on Thanos and his Black Order and will include characters from the Avengers, Guardians of the Galaxy, Spider-Man, and (surprisingly) The X-Men! Previous games in the series have been light on the strategy and heavy on the action. I’m ok with that though. The idea of playing a Guantlet-like game with my kids while we play as our favorite superheroes. Crash Bandicoot is experiencing a bit of a resurgence. The N-Sane Trilogy that released last year was one of the best selling games of the year. It only makes sense to bring out another great Crash game. Crash Team Racing is being remade by Beenox and will release on June 21, 2019. BioWare’s next big game, Anthem, is being released in February of 2019. But, players will be able to get their hands on the game ahead of time in two different demos. Demo #1: Exclusive to VIPs and will be available to pre-order customers from January 25 through January 27. Demo #2: Will be, essentially, and Open Beta. It will be accessible by everyone from February 1 through February 3. Nintendo announced the first character to be included in the Fighter Pass for Super Smash Brothers Ultimate. It was a huge surprise to everyone there when they revealed Joker, the protagonist from Persona 5. This new zone replaces Risky Reels and will feature user-generated content from within the Creative Mode. They didn’t provide details, but they mentioned that there would be some sort of voting system to help choose what was going to appear on The Block. Psychonauts 2 was announced a few years ago, but we finally got a chance to see a gameplay trailer. Here are all the games rated E-T that are coming out the week of December 9-December 15. Here are all the games rated E – T by the ESRB that are being released during the week of December 2-December 8, 2018. Here are all the video games rated E-T that are being released the week of November 18-24, 2018. Here are all the games rated E-T coming out from November 11-17, 2018. The Holiday season is fast approaching! Games are coming out so fast that it can be very difficult to keep track. We take time every year to list the very best family games of the year that came out on every console. Take a look below for our list of the best video game gifts for Nintendo Switch owners! Fans of our podcast will know that this is one of our most hyped games of the year. We haven’t been able to play this game a great deal so far, but everything that we have seen points to Ultimate being a great Smash experience. If your family has enjoyed Smash Bros on other platforms and owns a Switch, then this should be under your tree. The next Generation of Pokemon games won’t be out until next year. But, younger players and players who have come to the Pokemon fandom will have their own game this year. Pokemon: Let’s Go Pikachu! and Pokemon: Let’s Go Eevee! Are coming out just in time for the holidays. They are different versions of the same story, but they each feature a different partner Pokemon for your trainer. Dragon Ball FighterZ is one of the best fighting games and the best Dragon Ball game of the year. It is a three on three tag team brawl with a character roster than pulls from the deepest corners of Dragon Ball lore. It was developed by Arc System Works, a company known for high quality animation and flashy combat. Dragon Ball FighterZ is a beautiful game to watch thanks to its tag and assist system, but the real fun starts when you take the controls yourself. This is a very accessible fighting game that is great for tweens. Kirby games have always been great for kids, but Kirby Star Allies is just as great for families to play together. It features up to four player co-op so whole family can get in on the action (most of the time). My favorite part of Star Allies is the theme. It’s all about love, cooperation, and friendship. Your family is in for a lot of fun together if you pick this one up. Who doesn’t want a cool activity to do with your family on a Holiday morning? The advantage to Nintendo LABO kits is that they are both a game AND a STEM construction activity. There are three kits available right now. The Variety Kit includes several smaller kits including a fishing rod, a piano, and a house. The Robot Kit includes a massive backpack powered device that lets you control a giant transforming robot. The Vehicle Kit includes materials for three steering devices; one for a car, one for a plane, and one for a submarine. Mega Man is a well loved character and Mega Man 1 through 10 are the reason why. These two collections include 10 devilishly challenging platformers that have inspired a generation of gamers. This is a must own for families that have an interest in gaming history. Mega Man X is one of the best platformers on the Super Nintendo and it spawned a series of sequels that kept ramping up the action. Capcom released two Mega Man X collections this year. The second collection falls flat, but collection 1 included Mega Man X through X4 and is a great value. Mario Tennis was a huge disappointment on the Wii U. I was super nervous about whether or not Mario Tennis Aces on the Switch would be a repeat. Fortunately, it wasn’t. Aces is gorgeous, mechanically sound, and full of multiplayer fun. This one should definitely be on your radar if your family has (or will have) a Switch. Sonic Mania was a big deal when it came out initially. Many critics lauded it as the best Sonic the Hedgehog game in decades. (Some went so far as to say it was the best Sonic game of all time). Sonic Mania Plus is a re-release that also includes two new characters: Mighty the Armadillo and Ray the Flying Squirrel. They both move differently from Sonic, Tails, and Knuckles and have different powers. Valkyria Chronicles 4 is the spiritual successor to the popular PS3 title after two offshoot titles launched for the PS Vita. The game is a tactical strategy game set in an alternate, and more fantastical, version of Europe during the Second World War. The game unfolds in a series of journal entries placing the battles in context of a series of well told cut scenes and storyboards. Game play alternates between battles where you control each character in a unit as you advance and fight your way to an objective, and coordinating and upgrading your ever increasing squad in an offstage headquarters. This is a family friendly title that bridges the gap between the popular title XCOM (and XCOM 2) and [Mario and Rabbid’s Tactics battle?] and also has a playable demo with a save that can be rolled over to the full title. A strong title for strategy or warfare fans. It’s been eight years since the release of a new official Mega Man game and we have been long overdue. Mega Man is one of the essential franchises that gave birth to the platforming genre, and this newcomer to the Mega Man family is a most welcome addition. It promises new mechanics and challenges that will push the series to new heights. If you are a fan of the series or a fan of retro platforming games, then Mega Man 11 is a no brainer. 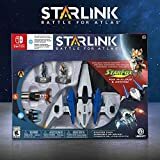 Starlink: Battle for Atlas was my game of the show at E3 this year. I was stunned to see a toys to life game (not called Skylanders) in 2018 and I loved it. This is releasing this holiday season on all three major consoles and on PC, but the best place to play Starlink is going to be on Switch where it will feature exclusive content based on the legendary Star Fox franchise. What is there to say about Just Dance that hasn’t been said before? This is becoming one of the most venerable franchises in gaming. Just Dance is released every year with new dance routines and new songs to very little coverage from gaming sites. Just Dance 2019 has a large audience and you’ll know if your family falls into it. Do you love music? Do you love dancing? If the answer to either of those questions is yes, then this should be on your radar. Engaged Family Gaming Holiday Gift Guide 2018 – Consoles! The holiday season is fast approaching and that means it’s time to start finding gifts for the gamers in your family! The EFG staff has ranked the video game consoles available today. Take a look below! We are all in on the Nintendo Switch this year. It is the console to own for families. We have had a Switch in our house since (almost) launch day and it has been well loved ever since. It has seen use in both of its hybrid forms throughout its life. It feels like every member of our family uses it differently. I use it almost exclusively docked, for example, whereas our middle son Jake almost never plays with it that way unless he is playing multiplayer. I can’t understate how valuable that versatility has been in our house. We have multiple consoles, five people, and only one real gaming space. Being able to play console games on the Switch in handheld mode has been a godsend. This is especially true because of Fortnite. I don’t even want to think about how stressful our life would be if Fortnite was competing for our main television time as well. The biggest strike against the Switch last year was the lack of Fortnite. That issue was resolved over the summer when it was announced during E3. It joins Mario Kart 8 Deluxe, Legend of Zelda: Breath of the Wild, and Super Mario Odyssey to form the best library of family friendly titles out there. 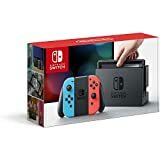 Looking for some Switch games to give? Here’s our list of Switch games for this holiday! The PlayStation 4 is our second choice this year. It doesn’t have the strongest lineup of exclusive games, with the exception of Spider-Man, but it is home to all of the major third party games like Destiny 2. You shouldn’t have any problems finding games to play with your family here. The catalog is full of great games. The biggest decision that new PlayStation owners will have to make when shopping for a PS4 is whether to purchase a base model or to spend a little bit extra for a PS4 Pro. The main difference between those two systems is going to be the graphics performance. Both of them will play the same games, but the PS4 Pro will make them look better if your family owns a 4k television. Looking for some PS4 games to give? Here’s our list of PS4 games for this holiday! The Xbox One is a great console on its own, but it is hard for us to recommend it this year when compared to the Switch or the PS4. 2018 has been a challenging year for Xbox fans. The exclusives have been in short supply. There is, however, hope on the horizon. Microsoft announced that they have purchased five new studios to help produce exclusive games. There is a ray of hope though. The Xbox One X has been announced and it looks like a great console for families looking for a powerful console to help show off their new 4k television. Looking for some Xbox One games to give? Here’s our list of Xbox One games for this holiday! MagiCat by Toge Productions is, as described on the Nintendo eShop, a Platform, Puzzle, Action, Adventure game. Originally released on Steam, it has now been released on the Switch. I hope to see it find a good following among the retro indie game fans. As a retro gamer who focuses on platform games from the NES and SNES era, this game caught my attention after I saw it in a Facebook ad, and with a $4.99 price tag, I figured I couldn’t go wrong. I’ve been very pleased. MagiCat is insanely cute; almost irresistibly so. This had my ten year old daughter fawning over the cat in the magic hat on the Switch dashboard. Even my 2 year old son quite earnestly pointed out “CAT DADDY CAT”! The game does not fail to deliver on the cutesie promise it makes. Each of the 68 stages has been filled with colorful plushy enemies and rich environments to jump across. The individual sprites make cute expressions and pretty much everything is reminiscent of Hello Kitty or other similar chibi anime. Mechanically, the game plays like the baby child of a Mario or Yoshi game. It has just the hint of the flavors of a platform shooter, and has surprisingly tight controls. MagiCat plays very smoothly, and feels great to simply move the cat around the stage. MagiCat only has a handful of abilities, though. However, there are shops further into the game, so it is possible to acquire more. In the beginning you can run, jump, pounce (dash), and shoot little fireballs that are the shape of paw prints. The fireballs can be aimed, and holding the jump button lets you air hover while doing an adorable mid air dance reminiscent of the Yoshi’s World games. Enemies range in difficulty, but defeating them (bosses included) comes down to either shooting them or bouncing on their heads. Collecting blue bottles throughout each stage is critical. If you have collected them then the pounce does damage as well and consumes one bottle. The blue bottles can also be used to activate checkpoints at the cost of ten bottles. This is also the only way to heal mid-level. MagiCat only has four health so it’s very important not to take damage, especially if you are aiming to collect the minor achievements earned at the end of each stage. The only other main goal of each stage is to collect three rubies. These can actually be rather challenging to acquire, and remind me of the three stars one collects in the recent Mario World games. The game has an odd learning curve, so I will be curious to see how well my daughter does when she plays it. It’s not difficult to make it through the stages, and acquiring lives is very easy. However, there is a boss at the end of every stage and they can be very tricky if you are not used to reacting quickly. That said these boss fights are really fun for an old gamer, reminding me of Mega Man and Super Mario Brothers all at the same time. Collecting the red rubies is where the game is the most challenging. The puzzles in the level to gain access to these range from very simple to ridiculously trick, so if you are a “100%-er” be prepared to retry stages quite a few times. Overall this game is a solid buy, and very enjoyable for its genre. There isn’t anything innovative here, but it’s just fun to play. If I had to make one criticism the only thing I might say is that the music could have been a lot better. Given how nicely it follows the old 8 bit format, I wish it had a more classic 8-bit soundtrack, as nothing about the music really stands out. No way that’s a deal breaker, but it would have taken it from an A to an A+. FCC Disclosure – A code was provided by the developer for the purposes of this review. We’re sharing tips for saving money as a gaming family in our newest guide! We will help you choose a gaming console, where and how to buy games, and we’ll even talk about accessories. Last time we talked about where to buy your games and how to save money buying them. This time it’s all about the hardware! Maintaining multiple gaming PCs can be time consuming and expensive. This may work for families with a Windows computer technician in house. When planning your gaming budget keep in mind the cost of hardware upgrades. There are solutions to play your office computer in the family room. The Steam Link and Nvidia Shield both support this feature. There are limitations and network requirements however so investigate further if this sounds useful. Both Steam and GOG support Mac computers. Maintaining multiple Mac computers is easier than Windows PCs for most people. Many games are not available on Mac though. Available games often run slower or with fewer graphical features. The Switch costs US$300 and has a strong selection of games. Many games on the Switch allow you to share its standard “Joy-Con” controllers for couch co-op multiplayer sessions. This can be awkward for large hands because the Joy-Con is physically small. The Switch Joy-Con controllers are the most expensive at US$80 MSRP. Nintendo also offers a “Pro” controller similar in design to the Xbox and PlayStation controllers. The Pro controller retails for US$70. The Switch uses microSD cards for data storage. Smaller size microSD cards are inexpensive at 64GB for less than US$20. Prices rise significantly for the cards with the most storage. Switch physical cartridges also require microSD storage for patches. Families planning large Switch game libraries should consider the cost of digital game storage versus the convenience. The PlayStation 4 costs US$300 and has the biggest installed base of modern consoles. It is often the best choice for multiplayer gaming outside the family. There is a limited selection of couch multiplayer games and each player must have their own US$60 MSRP controller. PlayStation 4 owners cannot play online games with players on Xbox One or Switch. The PlayStation allows you to use a single external USB 3 hard drive to expand the internal storage. This drive can be up to 8TB in size. You cannot use a USB hub to connect the external drive. Once formatted it is only readable by the PlayStation. Moving the drive requires ejecting it from the PlayStation settings menu first. PlayStation supports copying games between the internal console and external hard drive storage. PlayStation uploads saved games only from the primary console. This is a problem for families using multiple consoles! Accessing saved games requires multiple steps on both consoles. PlayStation limits online storage to 10GB of saved data per user. The PlayStation 4 supports “remote play” – where a PC, Mac, Vita, or PlayStation TV can access the PlayStation in the same house or over the Internet. The feature requires a PlayStation 4 controller and free software download for PC and Mac. Local and remote players can only play the same game together. Remote Play prevents the PlayStation from playing another game. Xbox One S consoles are US$300. There are limited couch multiplayer games on Xbox – similar in quantity to the PlayStation 4. The Xbox One is less popular than the PlayStation 4. This can be a problem when trying to play older multiplayer games online since there are fewer potential players. PlayStation 4 and Xbox One gamers cannot play online games together. Some specific titles do support playing with Switch, Windows PC, and mobile. Controllers are US$60 MSRP. Microsoft offers a custom controller design option as well for US$70 where you can choose various color options to create a unique controller. This can make a fantastic gift! Xbox also supports two unique controller options. Copilot allows two controllers to both fully control a single game. This is a great option for a younger player who needs a little help. It is also popular with gamers with disabilities. Even more exciting is the Xbox Adaptive Controller. This uses industry standard assistive devices to connect to a controller base, enabling a range of new options for gamers with disabilities. Xbox supports attaching two external USB 3 hard drives. Each drive can be up to 8TB in size. Attaching two smaller drives is a cost effective choice as well since they are often inexpensive. Once formatted a drive is only readable by Xboxes. You can move the drive between Xboxes by unplugging the drive. The Xbox supports moving games between drives on the same system and between Xboxes on the same network. This can save money on metered Internet connections. One Xbox can copy games to other consoles. The Xbox synchronizes saved games to the cloud so switching between Xbox consoles is painless. Launching a game first time on a new console and it downloads the saved game. Updating saved games occurs in the background while playing. Storage for this saved game syncing is unlimited. A free Windows 10 Xbox app allows remote play with an Xbox console at home. The Xbox can only play one game at a time however. Playing together using multiple video game platforms has limitations. Most games rely on the video game console or Steam multiplayer services. Only games with “cross play” features can play together across different systems. A “party” – a group of people like a family – playing together is often a separate consideration; not all cross play games support cross parties. Fortnite, Rocket League, and Minecraft are the most popular games with crossplay. Rocket League plans to add cross-party play in late 2018. These games support Xbox, Switch, PC, and – excepting Rocket League – even mobile devices. Absent from any cross play is PlayStation. Sony has so far not made cross play possible according to developers. A more limited version of cross play is Microsoft’s “Xbox Play Anywhere” and “cross platform” programs. Xbox Play Anywhere provides a license for both the Xbox and Windows 10 version of the game with a digital purchase. A single account shares the game with all users on the computer. With an Xbox and Windows 10 PC this can save money! However, the small game selection limits the usefulness of Xbox Play Anywhere. Not all Xbox Play Anywhere titles support cross platform multiplayer. Look for these features on the game’s store page. Some examples of games with Xbox Play Anywhere and cross-play are: Sea of Thieves, Forza Horizons 3, and Ark: Survival Evolved. That was a whole lot of info right? And we aren’t even close to done! Come check back for part three soon!! Adrian Luff is a lifelong video gamer with three video game obsessed boys and a very understanding wife. He is fortunate enough to have worked in the video game industry for over 20 years building online services for multiplayer gaming. He worked on servers for Battle.net used by the Starcraft, Diablo, and Warcraft games. He also designed the launch infrastructure for World of Warcraft. Adrian leads a team of engineers building robust systems, infrastructure, and developer tools for Twitch.tv (a division of Amazon). Family Gaming For Less! Part 1 – Where to Buy Games! We’re sharing tips for saving money as a gaming family in our newest guide! We will help you choose a gaming console, where and how to buy games, and we’ll even talk about accessories. We’ll be paying special attention to saving money when playing on multiple systems in the same house. That’s because finding enjoyable couch co-op games is challenging. Finding couch co-op games suitable for the entire family is an epic quest! Many games now support multiplayer exclusively online with only one player per system. Families are increasingly purchasing one console per family member. It isn’t uncommon to have a house with several Xboxes anymore. Video game system prices have dropped in recent years but multiple gaming consoles is still an expensive proposition! Picking the right gaming platform can save thousands over the lifetime of that system. The first, and probably most important decision, is where you will by your games. There are several online platforms or “digital stores” selling games online. The games they sell don’t have discs or cartridges. They exist only as files on your computer or console. The online stores use Digital Rights Management (DRM) to control how you can use their downloaded games. These are small details that might not seem important, but you need to know and understand them in order to stretch your budget. Steam is an online store that sells digital games for PC, Mac, and Linux. Steam provides a guide to enable Family Sharing. This feature enables sharing your game library with up to five family members. Only one person at a time can use the library however. Logging in to Steam kicks other users out after a few minutes. Multiplayer requires purchasing a copy of each game for each player. Steam games are often on sale. Many games are 20% off at launch, which is appealing on its own.. There are also several Steam sales throughout the year (a Summer sale in May and a Winter Sale in January for example). You can also buy digital games for use on the Steam platform on other sites. Websites like Humble Store and GreenManGaming sell “game keys” composed of strings of number and letters. You can use these keys to add the game to your Steam library. The competitive marketplace keeps prices low, but purchasing 4 copies, even at 20% off, is not the most cost effective option. An alternative to Steam is GOG. This is a service that offers DRM-free PC games. GOG games are downloaded as ZIP files or using an optional client named GOG Galaxy. The client downloads, installs, and updates games. It is possible to purchase games from GOG once and copy them to multiple computers since they are DRM free. This isn’t a perfect solution because some games require GOG Galaxy for multiplayer. If that is the case, then each player must have their own copy of the game. Games using the Steam multiplayer system can only be sold through the Steam store. GOG has made it easy for game developers to use the GOG multiplayer system instead. Usually playing the GOG version of a game means playing with only other GOG customers. That’s fine – maybe even preferable – for family gaming. It will, however, cause frustration if you try to play with friends who own the Steam version of a game. You won’t be able to see those Steam friends! The Switch is an appealing platform. The same games can be played on the TV at home or on the go. And Switch has a great library of family friendly couch co-op games. But multiple Switch consoles is a budget buster for many families. Nintendo’s DRM restricts digital games to a single console, even when online. Playing together requires that each family member own a copy of the game. Sony’s PlayStation 4 and Microsoft’s Xbox One consoles have similar DRM policies. They allow an account to play a purchased digital game on the “primary” or “home” console. Each account picks a single, specific console as home. This can be the same console for multiple accounts. Sony and Microsoft permit the home console to change only a few times however. Each account can simultaneously play a purchased game on the home console and any other console while online. Buying two copies of a game allows four family members to play – including multiplayer! This is known as “Game Sharing”. This works with two consoles and even four – with two copies of games. There are easy ways to save money on games for any platform. There are free rewards programs available: Nintendo Gold Points, Sony Rewards, and Microsoft Rewards. Each offers about 1% of purchases back as points. You can then redeem points for gift cards or other rewards. Make sure to check the program details as they each have their own quirks. For example, you earn points using Bing web search and by completing surveys in the Microsoft program. There are many rewards available, including Xbox Live and Xbox Game Pass memberships at discounted prices. Many people find they can pay for a year of both Xbox Live and Game Pass membership just by using Bing search daily. Look for the weekly digital game sales on your platform of choice. Savings range from 25% to 75% off. Subscribers to PlayStation Plus often save an additional 10% on sale items. Xbox Live Gold members have a special weekly sale. Patience pays off as most games will go on sale at least once a year. If you don’t have time to track the weekly sales you can still save. Steam, PlayStation Store, and Nintendo’s eShop for Switch all have wishlist features in their digital game stores. Steam will even email you when something on your wishlist is on sale! There are also many third party sites which offer price tracking like IsThereAnyDeal for Steam, TrueAchievements for Xbox One, and TrueTrophies for PlayStation. Each sites offers multiple notification options. These sites require an account to track your wishlist. Using specific payment options can also save money. Sony offers the Sony Card with 5X points (~5%) on entertainment purchases, including those from the PlayStation Store. The credit card company deposits points in the linked Sony Rewards account each month. This discount stacks with the rewards points earned from purchases via Sony’s digital game store. Redeem points for PlayStation gift cards. Families may already have a Target Red credit or debit card, offering 5% off purchases at Target. This discount applies to gift cards. Target charges an additional 5% on digital gift cards delivered by email however. Saving requires a trip to the store. Amazon offers the Amazon Prime Store credit card with 5% back on purchases at Amazon. You must be a paying Amazon Prime member to qualify. Amazon offers Nintendo, PlayStation, and Xbox digital gift cards delivered by email. Remember gift cards are not subject to sales tax. And the discounted gift cards “stack” with any game sales for more savings! Gifting digital games is available on Steam and the Xbox Store. This is helpful as it allows you to maintain a single account with funds. Use this “primary” account to purchase games for the whole family and gift them to your children’s accounts. This also serves as an anti-fraud measure, because you won’t have to add a payment method to your children’s accounts. Microsoft rewards points are also in a single account when using this approach with Xbox for faster accumulation. Microsoft parental controls also support “request to purchase” on child accounts. However, you can only gift DLC as “request to purchase” does not work. In-game currency such as Fortnite V-bucks require purchasing from the child account. In this situation you can apply a gift card to your child’s account only for the needed amount. Microsoft has said they are working to improve the process. PlayStation and Xbox require a paid membership subscription to play games online named Sony PlayStation Plus and Microsoft Xbox Live Gold. Each costs US$60 per year. Alternate subscription lengths are also available. Buying a membership for one account will enable online play for anyone logged into that player’s primary or home console. The paying account can also play online from any console while logged into the Internet. Microsoft has a Netflix-style service dubbed Xbox Game Pass for US$10 per month. This offers a library of “over 100” games available for download. Game Pass games are available to anyone on the purchaser’s home console. The paying account can also play these games from any console while logged into the Internet. With Game Pass for the family you have games everyone can play together. Microsoft has stated games they publish will remain in the library. Microsoft adds or removes other games periodically. Game Pass offers a sliding discount up to 20% to buy games in the library based on the game’s age. Game Pass games don’t include DLC but there is a 10% discount to buy it. The Game Pass discount only applies to full price games and DLC. It is worth mentioning that not all games in Game Pass are family friendly, nor are they all multiplayer titles. Some are older Xbox 360 games that play on Xbox One but lack the high resolution and performance of newer games. There are multiple games from many genres including multiplayer family favorites Zoo Tycoon, Rocket League, and Lego Star Wars. The complete list is available here. EA Access is a subscription specific to game publisher EA. It is available for US$30 per year on Xbox One only. Sports gamers can enjoy last year’s version of EA’s Madden, FIFA, hockey, and basketball games. EA also makes Battlefield, Need for Speed, and Plants vs. Zombies series which all have games included. Overall EA Access offers a smaller and older selection of games compared to Xbox Game Pass. Game Pass includes none of EA’s games. EA Origin is the PC counterpart to EA Access on Xbox. There are two levels available: Basic and Premiere. Basic is a separate PC-only subscription also for US$30 per year. The game selection is similar to EA Access on Xbox One but includes games from other publishers. EA Origin Access Premiere is US$15 per month and adds newly EA published games immediately. This can be appealing for gamers who buy several EA titles for PC each year. PlayStation has the PlayStation Now service for US$30 for three months. This offers a library of games for PlayStation 3 plus a few for PlayStation 2 and PlayStation 4. The service streams gameplay across the Internet rather than downloading games to the console. For any multiplayer games you will need a great Internet connection to support four or even two players. Instead of streaming games over the Internet it is rumored Sony will add support for downloading Playstation 4 games to a Playstation 4 console. PlayStation families should check back in the coming months for updates. One budget-friendly option for families is backward compatibility on Xbox One. Simply insert a supported original Xbox or Xbox 360 game disc into the Xbox One. The console downloads a small update and the games are ready to play. The list of Backward Compatible games is available from Xbox Community Manager Major Nelson’s site. There are several sources for inexpensive used Xbox 360 game discs. eBay, Walmart, Best Buy, and Amazon all sell used Xbox 360 games. This can be a cost effective way to expand your family game library. Also, digital copies of almost all backward compatible games are available in the Xbox store. Game sharing lets you use digital game licenses on two consoles simultaneously. This is key to economical family gaming on both Microsoft and Sony’s consoles. Xbox accounts have a home console. Similarly for PlayStation accounts there is a primary console. Changing the home console is possible only a few times. The home or primary console can always play games. The second console must be always online and connected to the Internet. If the Internet is not available then the console will not be able to play purchased digital games. If PlayStation Network or Xbox Live are down the second console will also be unable to play. This has ruined Christmas for some people. That was a whole lot of info right? And we aren’t even close to done! Come check back for part two tomorrow!